St John's church was to stand "near the site of the Ancient Hospital of St John" on land purchased from the Blake Charity. It was constructed largely at his own expense by the Rev. J M Capes, Balliol, Oxford, who had come under the influence of the Catholic Cardinal, J H Newman. The architect was John Brown, surveyor of Norwich Cathedral (1805 - 1876) . Built in 1845, it is in early English style, of Bath Stone with a bell tower. A spire was planned, but settlement occurred so was not proceeded with; instead pinnacles were added 1887. The Vicarage was built to the east of the church at the same time as the church in 1845. Mr Capes left the Anglican church for Rome. 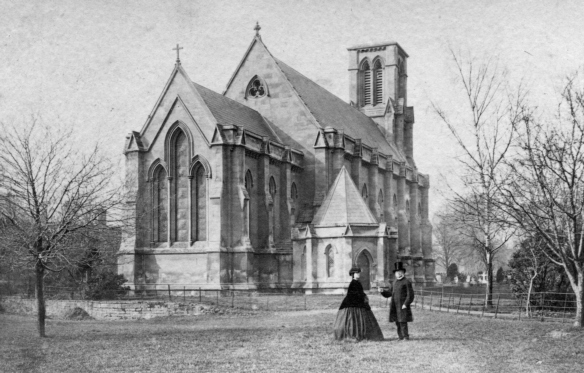 It was consecrated 17 August 1846 in the presence of the Mayor and Corporation. In 1840 the Eastover population was 3000 approximately. Rapid growth occured once the railway had arrived, and this was reflected in the number of houses.  The population was 7000 by 1890. The churchyard is disused and maintained by Sedgemoor District Council. Parts provide natural habitat. Several of the trees are mature specimens. Owls now nest in them. Three memorials are of special note. "In memory of the decease of 88 persons from cholera 1849. From plague, pestilence, and sudden death, Good Lord deliver us." Memorial stone to the Bowen family. John Bowen Engineer, worked for Trinity House and built lighthouses; in Bridgwater was a wine & spirit merchant, living in Friarn Place, off Friarn Street. He designed the domed and pillared Cornhill (Grade I) . He published the Bridgwater Alfred, but this proved controversion, leading to a riot in Friarn Street, in 1832  Designed the Cornhill building. 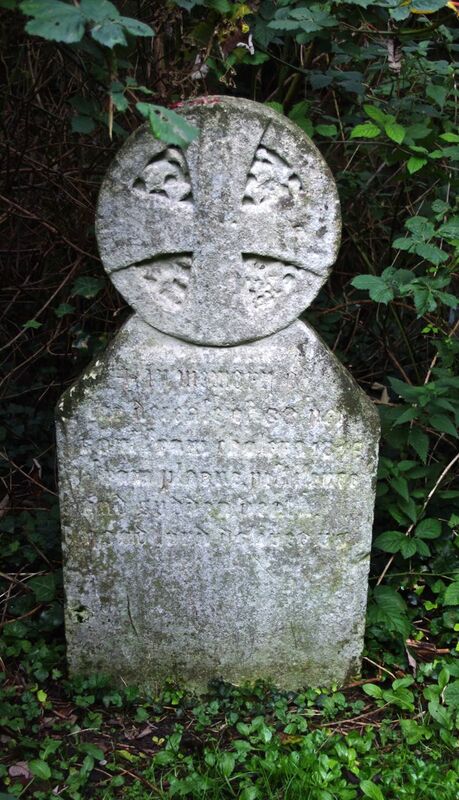 John Bowen died in 1854. 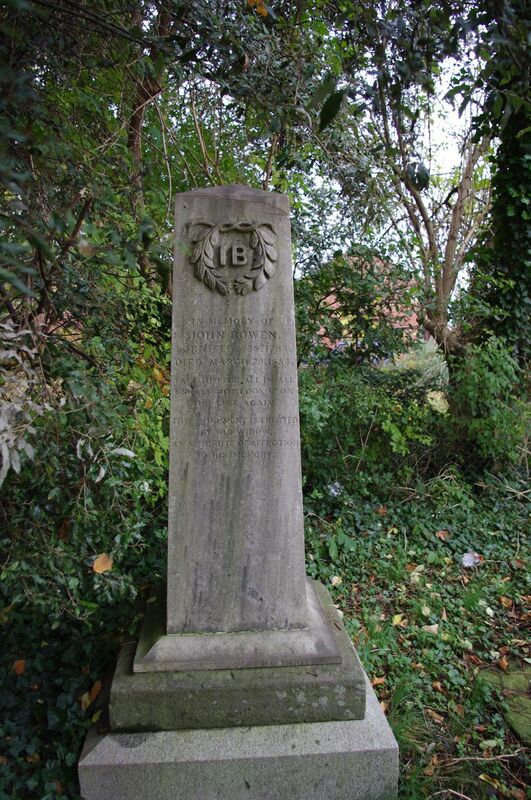 On the same memorial is commemorated Edward Nicholson Bowen, the first child christened in St John's Church is buried there. He was the grandson of Peter Nicholson mathematician, architect and railway engineer . Other Bowen relatives are also commemorated. In 1875, the parish purchased 4 acres of land in Bristol Road from the Trustees of the late John Bowen. This became the Bristol Road Cemetery. Box tomb Memorial to William Baker. 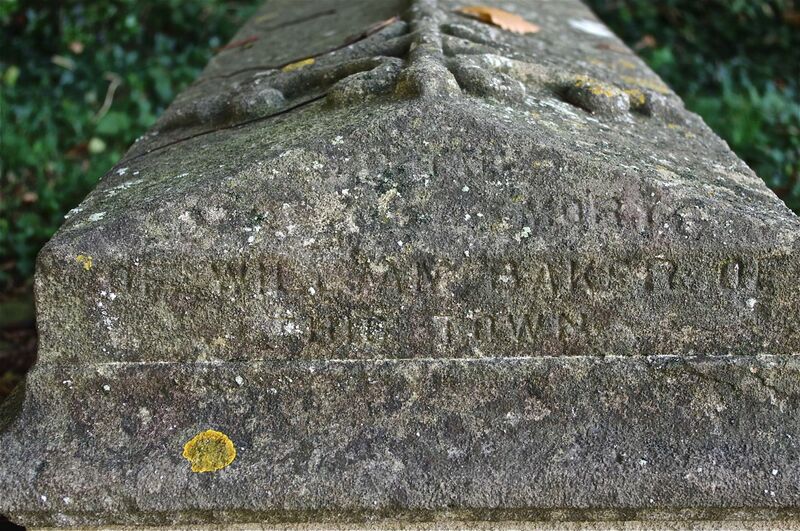 William Baker lived in Fore Street and St Mary Street. Nationally-known Natural Historian and Geologist, first Secretary of Somerset Archaeology and Natural History Society. Prolific letter-writer. Buried 1853 in the same gravespace as John Bowen a year later. Biography of Baker by Bowen . Tomb in good condition but lettering hardly decipherable. All Content © Bridgwater Heritage Group, unless otherwise stated. All rights reserved.